I contacted American Eagle for assistance in finding my estranged brother who had been missing for 2 years. Based on the information I provided to Mr. McBride, I was told that it may take some time to locate him, but he would keep me posted. Within 2 weeks (if not less), Mr. McBride contacted me and said that he had located my brother. I was able to verify the information and finally re-connect with my brother. My family was very relieved to find him and grateful for the services. It was pricey, but Mr. McBride delivered as he said he would, and very quickly. I highly recommend this service. 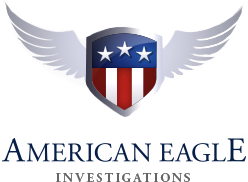 I had hired American Eagle Investigations on two separate occasions, and I would not be hesitant to hire them again. AEI, are incredible professional and discreet, and will get to the bottom of whatever issues you have. I really felt at ease working with American Eagle, and was completely satisfied in doing so. If I ever have anymore issues, AEI would be the only Investigators I do business with! When I was in deep trouble realizing my marriage is hitting a rock, American Eagle helps me to find what I want to know right away. Nor only they can provide accurate and private information a customer desperately needs, they also assist you to analysis and develop a strategy for a satisfactory solution. I walked out the office of American Eagle with confidence, energy and decision. I’ll have no hesitation to go back there if ever I need similar professional help. I needed surveillance services and I did not want to wait a moment longer. The stress in finding out I had to go this far and have someone follow my husband. I dealt with Dan. He was very professional. He made me feel comfortable about the situation and he had reasonable rates. It is very difficult for a woman to go through this, but American Eagle Investigations provided the results I needed. I would highly recommend this company and I am very thankful for their services. I hired American Eagle Investigators to find my 13 year old niece who had been missing for 10 days. Our family was desperate and felt we needed to hire a private investigator because we were not satisfied with how her case was being handled by the authorities. Whether she was a runaway or missing, she was a 13yr old girl that needed to be found before falling into the wrong hands. Daniel McBride and his company did what the NYPD couldn’t do and found her in 2 days. He is truly a hero in our eyes. Our sincere gratitude to him and his company. Thanks for caring. The Investigator helped me through the process and they obtained the information that I requested. I wanted my husband followed but was afraid that he might find out. They assured me that he would not. He was caught by the investigator cheating on me. They got it on tape. They were very sincere and helped me in this trying time. I hired this firm to confirm whether or not my husband was having an affair. Not only was there alot of money involved, we have three children, and many investments. I needed them to be as discreet as possible, mainly because of my children. I can not convey to you how professional, effecient, and amazing this agency was. Daniel McBride was the man who handled my case. He was truley amazing, sympathetic, and professional. I would recomend this agency for any kind of work in this field or any other field they handle. I called American Eagle Investigations because my husband was acting strange. They followed him and found out he was cheating on me with a coworker. He could not deny it I had video and pictures I would just like to thank the owner he was very professional and compassionate. 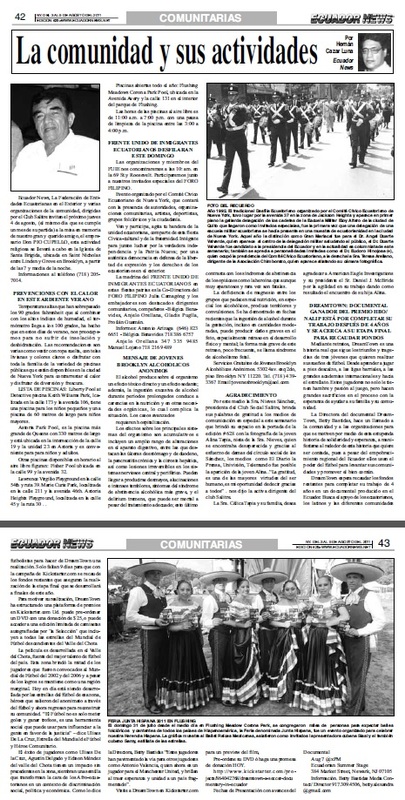 American Eagle Investigations in the News!